SILVER SONIC BL-1 Series II Interconnect is a high performance audio interconnect cable that combines the highest sound quality and reliability available at its price point. Silver Sonic BL-1 uses large 20 gauge conductors for low signal loss. The Power Plus is constructed with the finest High Purity Copper in the world. The Power Plus features two twelve gauge conductors and a twelve gauge ground. The cables design and custom insulation also reduces coloration and improves overall transparency. 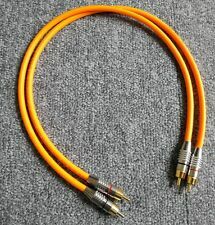 High performance silver core mains cable. fitted with an inline audio grade ferrite choke to further supress any potential interference. 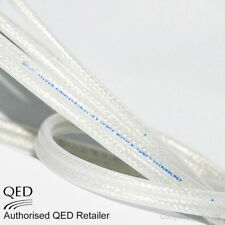 Cables are made with the best choice of materials, are double shielded, one of screening layers is high density braid. 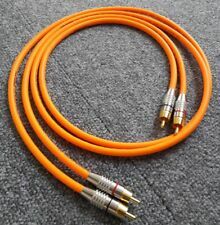 This is the ultimate quality professional grade interconnect. 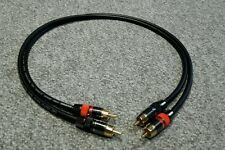 It is built with Linn Silver Balanced audio cable one of the very best cables dedicated to balanced connection system. Neotech are one of the best wire manufacture full stop. Their products and knowledge speak for themselves. UP-OCC Tech. Multi-Size Copper & UP-OCC Silver Plated Copper Conductor. NES-3005 II is consisting of a number of individual conductors. This rugged 15 amp cable features three high-purity 14AWG Stranded OFHC Copper Conductors and 100% shielding for excellent noise rejection. The Encore features a very attractive charcoal-grey custom jacket. This ensures that the signal is kept clean with low noise interference and is maintained down a low resistance path (ideal for longer lengths). Conductor Material Bare silver plated ultra pure oxygen free copper wire. The Silver Sonic D-110 was designed to be a state-of-the-art, no compromise product. 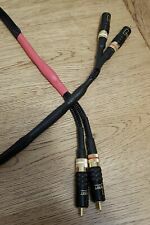 We feel it’s sonic performance equals or exceeds all other cables of this type, regardless of price. The Silver Sonic D-110 is a precision 110 Ohm AES/EBU type balanced digital interface cable. 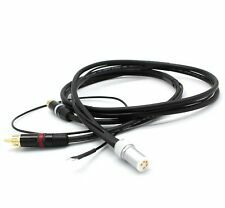 Qed Silver Anniversary XT SPOFC with X-Tube Technology Speaker Cable. 2 x 2,6 m long. 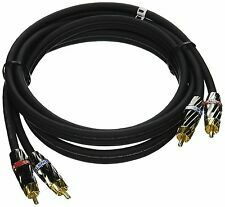 SANDSTROM AV Silver Series Digital Optical Cable 2M. New, unopened. The Purefonics Skyline is a fantastic performing, very affordable cable! Four high purity strands of SP-OFC are spirally wound around ultra pure copper conductors, for an aggregate gauge of ~22AWG. The inner conductors are covered in extruded Teflon, for a very low dielectric loss it is also very well damped and shielded; the two ultra high purity OFC inner conductors are wound with a special damping material, then covered with both a foil shield, and a copper braided shield, for excellent EMI/EFI protection and rejection. The Oyaide FTVS-510 is quite simply one of the best digital cables money can buy! For the core of FTVS-510, 5N (99.9995%) pure silver is installed. In order to solve this problem, we installed Carbon PE as a semiconductor layer. Spaun SAR 12 F Cable splitter Silver - Cable Splitters or Combiners (Silver, F, 105 mm, 82 mm, 38 mm).18 V. Corrente di commutazione: < 0,5.1,5 ma. Connettori: F connector. kaskadier Bar è no. corrente è 35 ma Spaun relais di antenna SAT SAR 12 F4. We will provide the. Nel DUBBIO contattatemi senza esitazione. Our cables can be assembled to your specification. 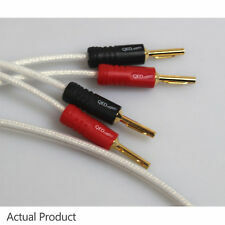 We can source all of the major RCA plugs to fit our cable and you can choose the length required. 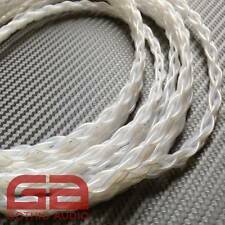 We use 99.999% pure Silver signal cores in our cables, with a multi strand silk covered screened outer for full protection. Moshi 99MO023208 Silver cable interface/gender adapter - Cable Interface/Gender Adapters (Silver). Produttore: Moshi. Colore: Silver. DIRITTO DI RECESSO. MPN: FBA_99MO023208. Larghezza: 3,8 cm. Peso: 36 g.
Connettori in ottone hard silver plated. Il costo è riferito alla coppia sx dx - 1m lunghezza. We will provide the. Nel DUBBIO contattatemi senza esitazione. i prezzi sono iva inclusa. Trs jack: Eidolic trs. -wire:Mundorf solid core 99% silver 1% gold. - MUNDORF MSOLDER SILVERGOLD SUPREM soldered. 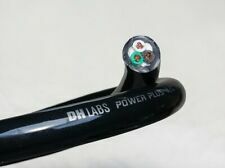 Silver Sonic T-14 High Resolution speaker cable was designed by DH LABS to provide the highest quality sound at a much lower price than competing cables. It uses the finest materials available, including silver, oxygen-free copper and a pure PTFE dielectric.